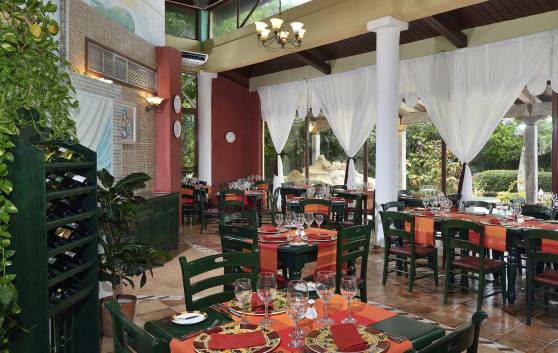 Captivated by the beautiful hotel gardens, you can enjoy the delights of its light Italian cuisine. The venue is attractively decorated to accentuate the coolness of the setting. À la carte service, for up to 60 diners. Casual dress code. 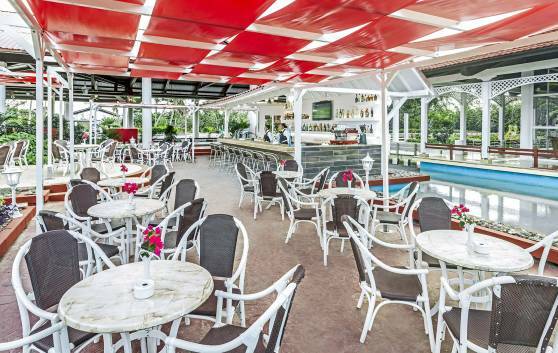 At night it becomes a Trattoria, where you can enjoy some delicious Italian gourmet dishes. 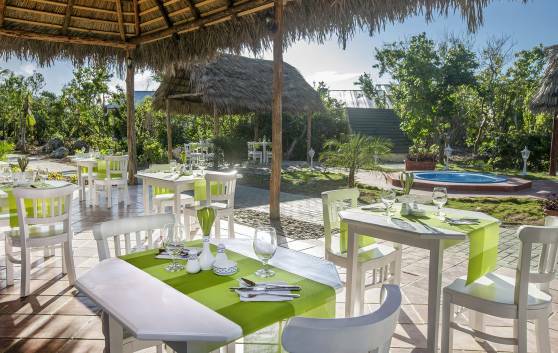 Here you can savor the authentic flavors and aromas of Cuban food, skillfully prepared by our Chef. Its colorful ambience recreates the idiosyncrasy of the Cuban countryside. 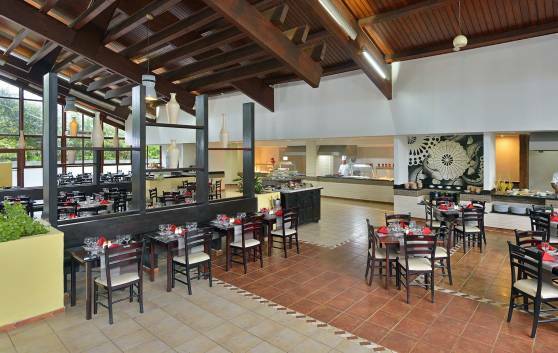 This spacious buffet restaurant with a seating capacity for 274 persons, offers a wide assortment of superb international dishes guaranteed to satisfy the most dissimilar tastes and demands, particularly its pastries and variety of breads. Quick and cordial service. 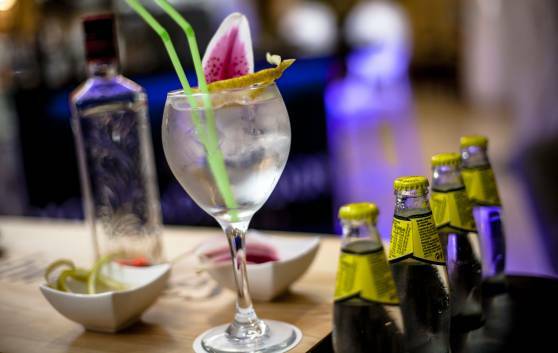 Gastronomic service with a touch of class! A broad variety of International dishes prepared with the unrivaled art of our experienced chef. Elegance and personalized service. 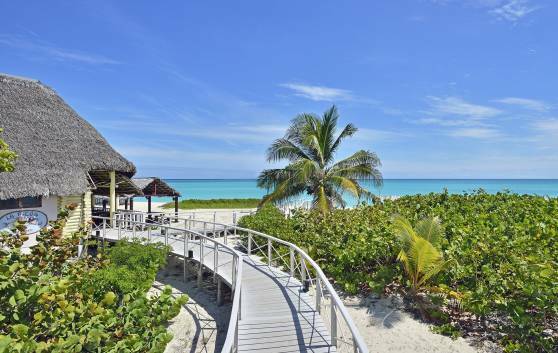 Located in the beach area, next to the Cuban club and overlooking the beautiful hotel gardens. 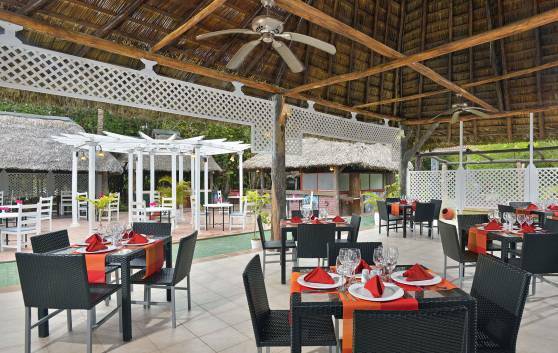 In a completely Caribbean setting, you can enjoy a terrace serving à la carte dishes, grilled food, a mini buffet and snacks, as well as an extensive list of Cuban cocktails. It can accommodate 100 diners and the dress code is casual. 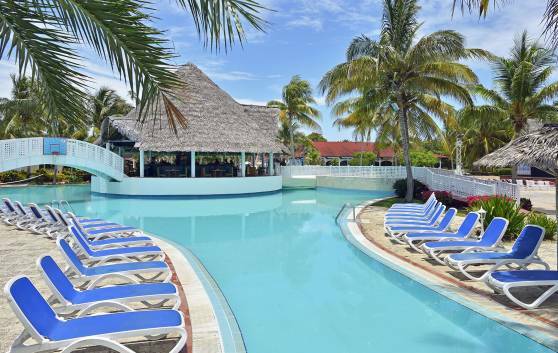 Guests can savor cocktails as they take part in the multiple recreation activities or simply swim in the pool. Snack bar service available. This outdoor patio bar is excellent for spending some time with friends. Cuban and international drinks are offered. Tea and coffee service. Enjoy the off-menu services of our Sports Bar, a special venue for spending enjoyable moments with friends or family. As well as its range of spirits and drinks, it has a games room. 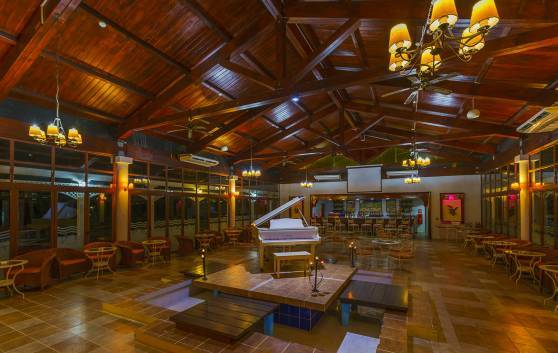 Accommodates up to 86 people, in a wonderfully romantic setting, with a wide range of national and international drinks. You will be entertained by a fabulous pianist, who will make your night here one of the best memories of your visit to Cuba.